Feeling like you’re not enough as a mom? 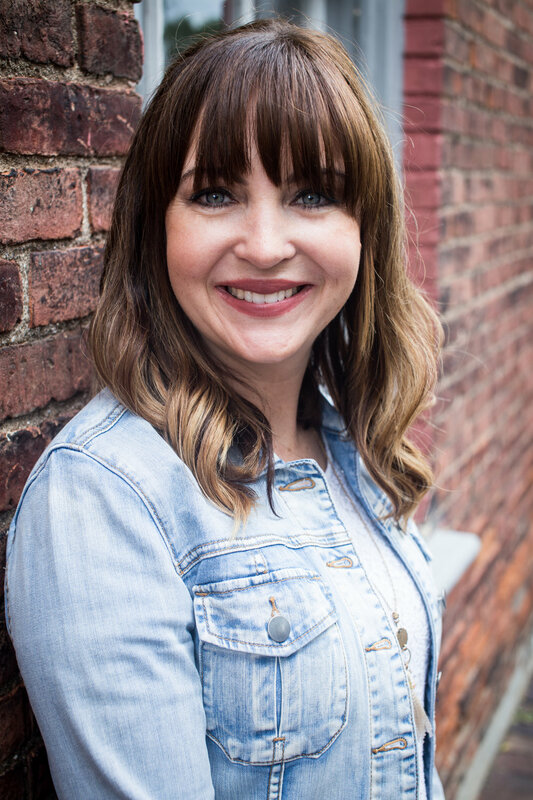 Join me in welcoming one of our newest contributors, Stephanie Roberts, to The Better Mom as she reminds us that God will fill our gaps if we only choose to lean into Him. It was purely magical walking outside before the sun was up and seeing the snow begin to fall. With bags in hand, we were heading to the hospital to bring our firstborn son into the world. The snow continued to fall outside the window as contractions ebbed and flowed throughout the afternoon. There were fourteen inches of snow on the ground by the time we got to meet our sweet boy that evening, a record amount of snow for our little town. Our blizzard baby was born into the most magical and unexpected of settings, and with him, I entered into the magical yet uncharted territory of motherhood. I thought I knew what to expect as a mom. I was given a lot of advice throughout my pregnancy and felt prepared, but no one warned me about the unexplainable pressure to be do everything right, and the constant second-guessing that came with it. In those early days, I found myself consumed with wondering if I was enough for my baby boy and struggling to fill in the gaps. Three years have passed since I was in the trenches of new motherhood. Our family has grown by a second baby, and this time I am more laid back and at peace in my role as his mom. However if I am honest, some days I still feel that inner struggle. On those days when my house is a wreck and I struggle with the balance between being fully present with my kids and making sure my house does not continue in a state of total chaos, I feel the gaps. In those moments when I raise my voice at my toddler for not listening, I feel the guilt of not being patient enough with my little humans. On the days when I am just so burnt out by the time my husband gets home from work that I have nothing left for him, I feel like I will never be enough. Can you relate? Do you know this deep tension too? Often society tries to tell us that we are indeed enough for our kids. Yet despite that well-intended encouragement, the struggle to be enough continues to rage inside of us. Could it be that sometimes we actually do have gaps and weaknesses? Is it possible that our imperfect, human nature is not enough to do everything “right” for our children? Maybe God never intended for you to be the “perfect” mom. We do have gaps, in motherhood, as a wife, and in every other thing that we do in life. It is a part of who we are as humans living in a fallen world. Yet, as I am reminded of my gaps, I remember that we have a God that fills in our gaps if we only choose to lean into Him. I often think of Moses and his encounter with God at the burning bush. He had a list of excuses, pointing out all of his shortcomings and insisting that he was not enough for the incredible task that God had prepared for him. He argued that the people would not believe anything he said, but God showed him the many wonders that he would perform. Then, he insisted that he was not well spoken enough to address Pharaoh, but God appointed his brother Aaron to be his voice. God filled in Moses’ gaps and used him to rewrite history in his generation, and He can do the same with you. My friend, when we stand in the gap for our children, God in His all-fulfilling-grace fills in our gaps. When we lean into Him, we are enough for the kids that He has handpicked and entrusted us to raise. Just as God prepared Moses to be the right man to free his people, He has prepared you to be the mom that your kids need. So, lean into Him, and let Him fill in your gaps. He is the one who is enough. Stephanie Roberts is a Christ follower, wife to her best friend from high school, and boy mama to two full-of-life little guys. She a dreamer and a planner at her core, a lover of travel and the outdoors, and will always be a teacher at heart. Her family’s life mission is to care for the fatherless and to make disciples. After a period of doing that as missionaries in Guatemala, God has unexpectedly called them home to do that in their home state of Kentucky. They are the founders of a local non profit called Be the Village that equips foster and adoptive families to be a refuge to the children in their care. Stephanie lives by the quote, “When you have more than you need, build a longer table, not a higher fence.” You can follow her little tribe at https://www. raisingtherobertstribe.com/ or on Facebook and Instagram @raisingtherobertstribe.